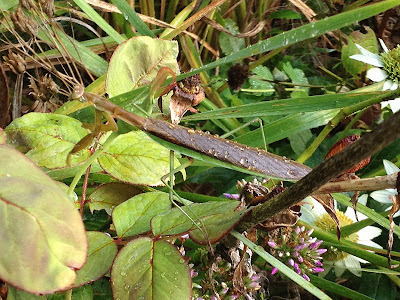 Praying mantis amongst the flower beds. 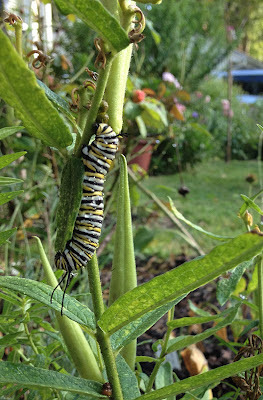 Monarch caterpillar on the new butterfly weed. 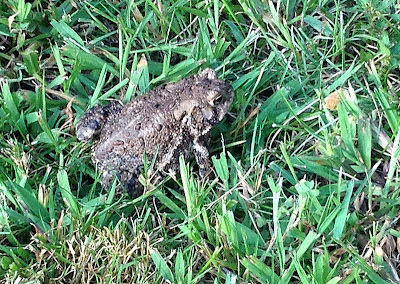 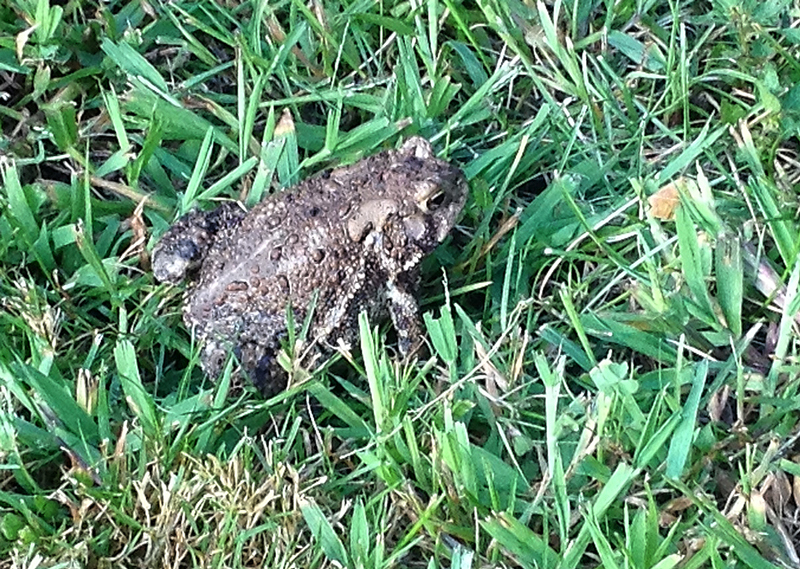 This little toad came out after Rob mowed the lawn. I really need to start carrying my camera again and stop relying on the iPhone to take photos!